Event organizers will be better able to track the number of participants and gain analytics into popularity of events. North American Prospect Expos (NAPE), which runs business conferences for the oil and gas industry, is one of several event organizers employing an RFID-based solution from Global Registration Solutions (GRS) to identify traffic levels on conference floors, as well as monitor attendees at sessions and other events during the programs. The technology has also been installed at conferences managed by the National Black MBA Association (NBMBA), and the American Association of Professional Landmen (AAPL), among others. By embedding an ultrahigh-frequency (UHF) RFID tag in each badge cover, and by then reading those tags at key locations, GRS is able to provide conference managers with such information as peak traffic times on the show floor, the number of people attending other specific events, each visitor’s average length of stay on the floor and details necessary to manage the distribution of meals to attendees. Attendee traffic will be monitored throughout the duration of the event. Since its founding in 2007, Global Registration Solutions has offered its software for registering event attendees at midsize conferences. However, the company recently added passive UHF RFID badges, readers and software to manage the collected read data. By deploying RFID technology, conference organizers can better identify how many people are present at key locations and at specific times, says Dale Bookout, one of the company’s two cofounders. 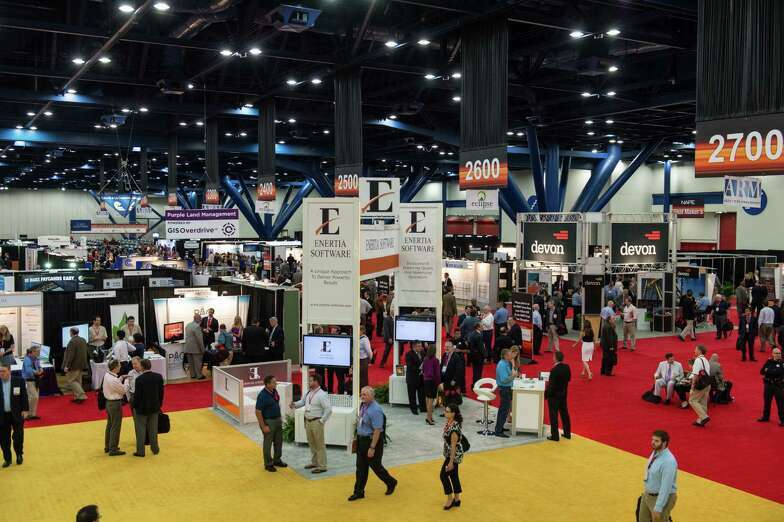 NAPE is using the technology to track traffic onto the exhibition floor, as well as to monitor attendees during other activities, such as an introductory party held the evening prior to the show. With the RFID data, GRS can determine how many attend the evening event, how many come to the show floor and when this occurs. In this way, the company will have access to analytics on which activities are successful and which are less popular, as well as when the number of attendees may require increased or decreased staffing. Prior to the event, GRS’ staff members arrive onsite, bringing a ThingMagic USB Plus+ reader to encode a unique ID number to the tag built into each badge sleeve. Fixed readers are installed at entrances as well as in session rooms, if necessary. Event attendees sign up online for the conferences, and then arrive at the registration desk to sign in on the day of the event. At that time, a new badge listing that individual and his or her credentials is printed and then placed in the RFID-enabled badge sleeve. The sleeve’s unique ID is linked to that person in the software, and the badge is handed to him or her on a lanyard. As that visitor proceeds through the conference, the badge’s tag ID number is interrogated and forwarded to the GRS software every time he or she comes within range of a reader. The software not only captures each ID number and links it to a specific individual, but also uses a reporting tool that analyzes read events and transmits the necessary data to clients, thereby identifying traffic patterns and what they mean to the show’s success. For example, software calculates when each attendee arrives and leaves, how often that guest passes a specific area, and when traffic levels are high or low. With RFID readers installed at session rooms, the system can also enable the event to provide conference education unit (CEU) credits to those in attendance, by supplying proof of when each visitor entered and exited a particular session and thus obtained a specific type of instruction. The event management can forward those details to the attendees, or to their employers, for the CEU credits. In addition, the system can determine when individuals enter a specific area to claim a meal. If an attendee who had already received a meal were to return a second time, the software would identify that event. What’s more, the information could be compared against charges from the food services provider, in order to verify invoices. The company is now offering handheld RFID reading as a lower-cost option to monitor individuals and multiple session rooms. For example, event personnel would carry a Nexus 7 tablet with an MTI Mini Me UHF RFID readers, to interrogate the tag embedded in the badge of each individual entering or exiting a room. Global Registration Solutions has also received requests from exhibitors to install RFID readers at their booths, Bookout says, in order to determine how many people stop at the booth, as well as each person’s identity and how long he or she stays. GRS may opt to offer this solution to exhibitors in the near future, he notes. “The next big thing is tracking actual movement on the floor,” Bookout states. “Event managers want to know what aisles people travel down.” However, he adds, monitoring that data will require a larger reader infrastructure, which could increase the solution’s cost. The most challenging aspect of the solution, Bookout reports, involves managing the vast amounts of data retrieved from the RFID readers. He says his partner, cofounder Tony Robinson, has a background in application development, which made it easier to set up software to filter out excess data and interpret meaningful details from the RFID reads. Global Registration Solutions continues to offer non-RFID event registration and management, which could include using bar codes on badges. However, Bookout says, the company intends to focus heavily on RFID deployments, since it provides fast recognition of individuals without creating queues, which would be the case with bar codes. “RFID is where we want to go,” he states.